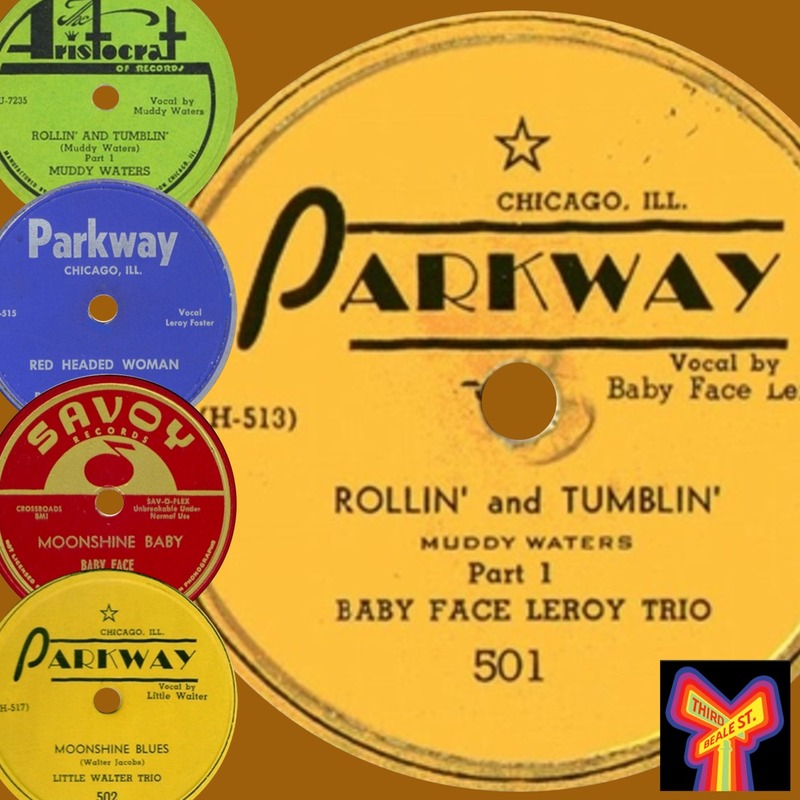 On this episode of Blues Unlimited, we aim the spotlight on a key transitional period in the history of post-war Chicago Blues, by focusing on the early recordings of three influential figures: Muddy Waters, "Baby Face" Leroy Foster, and Little Walter Jacobs. Pictured: Various releases of Parkway material. Top Left: Muddy’s “do over” 78 for Aristocrat that brought about Parkway’s demise.